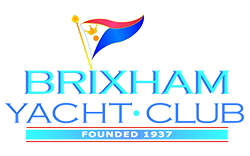 We warmly welcome new members to Brixham Yacht Club. You do not need to own a boat or be a sailor, and we have a busy social calendar as well as a full sailing calendar, so all are welcome. You can apply for your membership by completing either of the forms below (available as Word or PDF) and posting it to the club or handing it in at the bar. Once you have paid your subscriptions, you will will be entitled to use all the club facilities and receive a membership card (which can also be used as a payment card at the Bar) plus a car park disc for your car. You can sign non-member guests into the club a maximum of 6 times a year using the visitor's book near the door. Young persons under 18 years of age may apply for Cadet Membership. No voting rights. Adult Single membership over the age of 25.